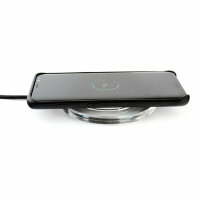 Wirelessly charge your Qi compatible smartphone or tablet with this slim Qi Wireless Charging Pad. Extremely discrete and portable, this Clear wireless pad enables you to easily charge wirelessly in any environment. I really love this wireless charger. It makes having my iPhone charge a lot easier instead of having to open a case to plug-in to charge. It came as it stated for the delivery time and everything I needed was in the box. There’s a blue light to let you know when your devices is icharging and it will double blink when it is not properly placed to charge your device. Sits on my bedside table, so all I do is sit my phone on it and it charges overnight. No fiddling with cables. The charging light is small and inconspicuous, so it doesn’t disturb your sleep. Excellent little gadget. Easy to use and so much more convenient than searching for charger wires. 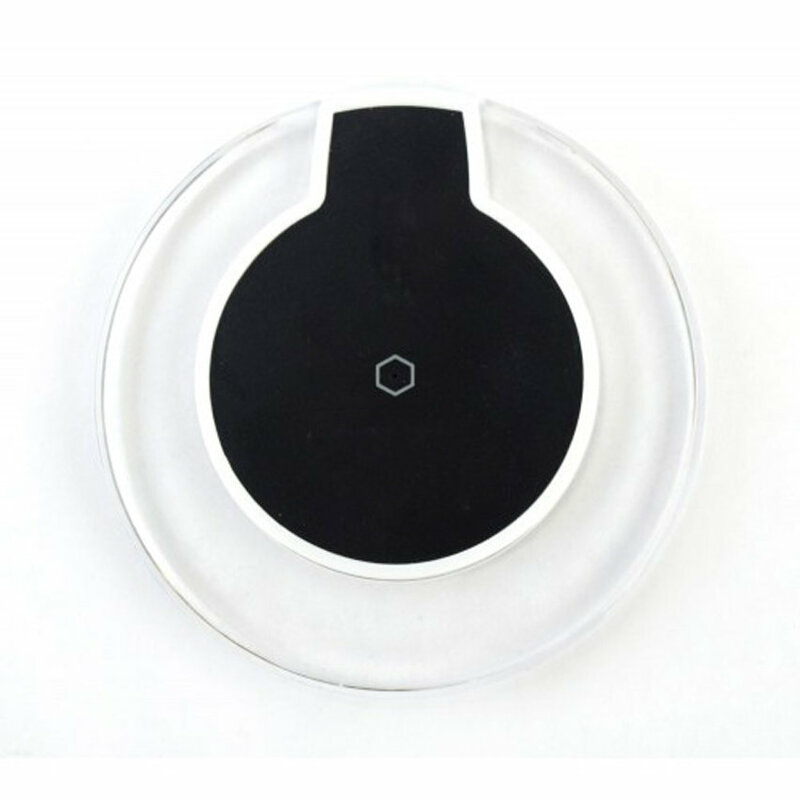 With a sleek and slim portable design - this universal slimline Qi wireless charging pad is a fantastic space saving way to charge your phone while you are away from home or the office. Designed for quick and intuitive charging, this pad allows you to charge any Qi enabled smartphone without the mess of cables. The unique and sophisticated streamlined design allows the aircharge Slimline Qi pad to blend into any environment perfectly and to be easily taken on your travels. Thanks to this charger's unobtrusive yet informative LED indicator, you'll always know when your device is charging. The indicator changes colour to let you know your device is done charging, too - so you'll never use more power than strictly necessary. 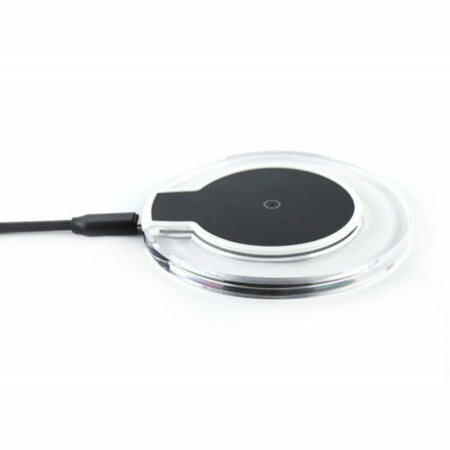 aircharge wireless charging pads are manufactured to the Qi standard. Qi is the sign of interoperability between power transmitters and power receivers. 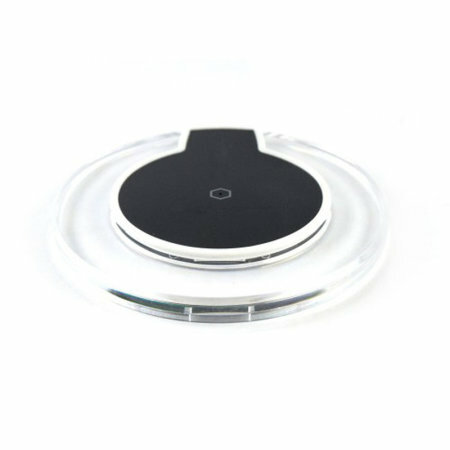 This means that if your phone doesn't have built-in wireless charging, you can use one of the Qi adapter solutions to convert your phone to wireless charging supported by this pad.